TORONTO, ON – Bandit Brewery has announced the return of a seasonal brand inspired by “everyone’s favourite lifeguard” – this time with a tropical twist. The base of the beer is basically the same as our regular Hef, with Pilsner and (lots of) wheat malts, plus a bit of Munich malt to provide a slight “bready” sweetness. Continuing on the classic Bavarian tradition of Hefeweizens, our team used German “noble” hops such as Saaz and Tettnanger. Both hops work beautifully in this beer as they’re quite mild and a bit spicy. The passionfruit provides a fruity sourness, but doesn’t overpower the expected and desired characteristics of a classic wheat beer, as the clove aroma distinctly comes through. 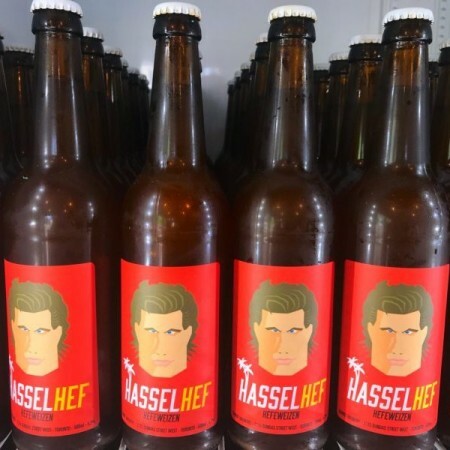 Passionfruit Hassel-Hef is available now in the Bandit taproom and bottle shop while supplies last.